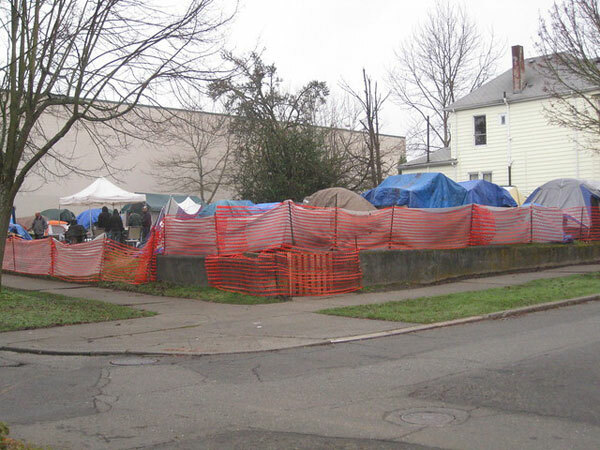 A few weeks ago, as NPQ reported, a battle loomed in Seattle between a series of small-home encampments sheltering people who are homeless, the nonprofit overseeing the villages, and the government agency providing the funding. Now, reports indicate that the fight among Nickelsville, the Low Income Housing Institute (LIHI), and the city’s Human Service Department (HSD) is in full swing. As this conflict unfolds, some fundamental issues about the nature of the relationship between funder, service provider, and client have been brought to the fore. To help address the growing crisis of homelessness in Seattle, a series of small-home villages were created. These are built on a known and accepted model of self-governance wherein the residents make and enforce the rules. Collectively known as Nickelsville, these villages are overseen by LIHI, which provides case management and other services and serves as the fiscal agent. HSD provides the funding and overall leadership. The recent struggle was over whether or not LIHI had the right to impose rules on Nickelsville with which the villages’ leadership disagreed. Now, according to reports, Nickelsville residents and leaders have padlocked their gates and are only allowing LIHI’s case managers to enter. Apparently, about a week ago, LIHI posted notices at Nickelsville locations that they were officially severing ties with the villages’ communal government, would be taking over direct management of the three villages under its control, and would impose some new rules and expectations. The signs were immediately taken down. Following through with an earlier warning, LIHI has been gradually defunding the villages and their staff, which could threaten the existence of Nickelsville as an entity. In response to that threat, the gates have been locked. A rumor among the residents is that LIHI plans to evict them. According to Sharon Lee who founded LIHI and has been its executive director since 1991, that’s not so; instead, the move is about bringing greater consistency to case management services and more fairness to the treatment of the residents, something she does not see from the current leadership. One of those current leaders, Scott Murrow, believes this fight between his group and LIHI is actually being orchestrated by HSD and the city to suppress homeless activism. HSD have come out in support of LIHI’s actions but stopped short of saying they would force the gates open. In Oklahoma, a dispute between a public television station and its support foundation intensifies.